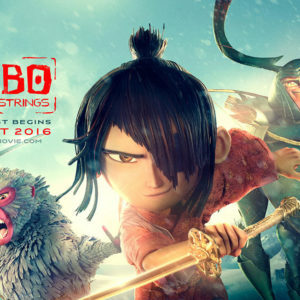 Excellent stop-action animated film about a boy who goes searching for a magic suit of armor to defeat an evil spirit. 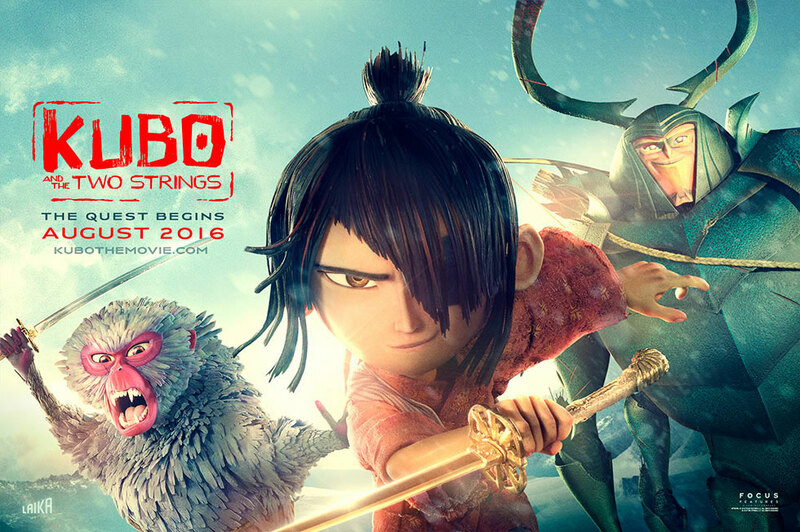 The film is one of the most visually stunning animated movies in years. It is a little intense, so it’s not for the little ones. Available November 22. Gut wrenching tale about a father and his ex-con brother who rob a bank to save their family’s ranch in Texas. The film is an outstanding crime drama and thriller with depth and smarts. Chris Pine, Ben Foster and Jeff Bridges star. Available November 22. Solid boxing biopic, about the legendary Roberto Duran (Edgar Ramirez) and his trainer (Robert De Niro). The two leads really make this picture work – rising above the standard script. Available November 22. Jason Statham can make these kinds of films in his sleep. He plays the retired assassin who’s called back into action to save the love of his life. A good cast, which includes Jessica Alba, Tommy Lee Jones and Michelle Yeoh, helps raise the bar. If you’re looking for a solid action flick, you know what Statham and company will deliver. Available November 22. Good silly fun, especially for fans of the original British TV series. The film’s strength rests solely in the hands of stars Jennifer Saunders and Joanna Lumley as they work to recreate the magic of their boozing, self-destructive characters. Available November 29. A group of amateur thieves decide that a rich blind man is an easy way to make a buck. Too bad the blind man is far more resourceful than they ever imagined. “Don’t Breathe” is a chilling, gruesome thriller loaded with tension and plot twists that will keep you on the edge of your seat. Available November 29. 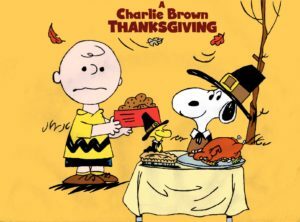 Before all the Christmas specials begin, enjoy this animated classic as Charlie Brown, Linus and Snoopy have to prepare their own Thanksgiving for their friends. Wednesday, November 23, ABC. Time to award this year’s Mirror Ball Trophy. Who will it be? The four remaining stars are gymnast Laurie Hernandez, race car driver James Hinchcliffe, footballer Calvin Johnson, Jr., and country singer Jana Kramer. The finale begins on Monday, November 21, and concludes on Tuesday, November 22, on ABC. The same parade – different networks. “Macy’s Thanksgiving Day Parade” will feature Tony Bennett and the Muppets, while “The Thanksgiving Day Parade on CBS” gives us Sting and Miranda Lambert. Thursday, November 24, NBC and CBS. Wrap up your Thanksgiving with a new adaptation of the classic “Anne of Green Gables,” starring Ella Ballentine and Martin Sheen. Thursday, November 24, PBS. NBC will air the full version of the “How the Grinch Stole Christmas” to mark the holiday classic’s 50th anniversary. The Christmas special will be shown in its original 26-minute version for the first time in more than a decade. Friday, November 25, NBC. Continuation of the classic mother/daughter series (which ran from 2000 through 2007), “Gilmore Girls: A Year in the Life” returns almost all of the original cast, including leads Lauren Graham and Alexis Bledel. The new ‘season’ is four 90-minute movies. Expect lots of witty dialogue, angst, love and laughs. All episodes will begin streaming on Friday, November 25, on Netflix. New holiday film about a recently deceased woman who finds herself training to be an angel. Along the way she discovers faith, love and the true meaning of Christmas. Kristin Davis, Eric McCormack, and Shirley MacLaine star. Saturday, November 26, Hallmark Channel. New science fiction drama about a dystopian future where corporations have surpassed nations as the world’s powers. “Incorporated” is produced by Matt Damon and Ben Affleck, and stars Sean Teale, Julia Ormond and Dennis Haysbert. Series debuted on Wednesday, November 30, on SyFy. “Vikings” is back for its mid-season premiere. Expect some epic happenings as Ragnar’s reappearance triggers a chain of events that will upset everyone’s carefully laid plans. Wednesday, November 30, History Channel. TBS has renewed “Full Frontal with Samantha Bee” for a second season. A&E is ending the long-running “Duck Dynasty” after this season – the show’s 11th. ABC is adding another Marvel show to television’s long list of superhero offerings. “Marvel’s The Inhumans” will debut in the fall of 2017. HBO will bring the acclaimed “Westworld” back for a second season.